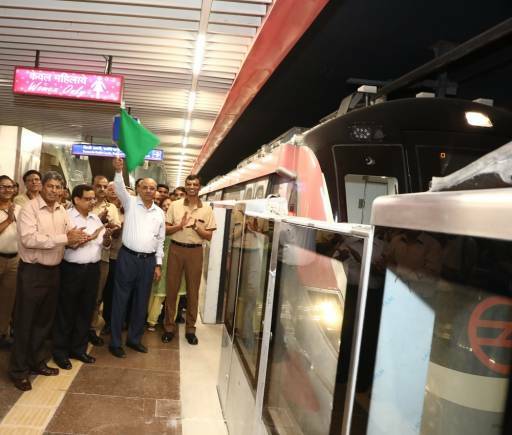 Managing Director of DMRC flagged off the test run in the presence of other senior officials of the 59-km long Majlis Park – Lajpat Nagar corridor. 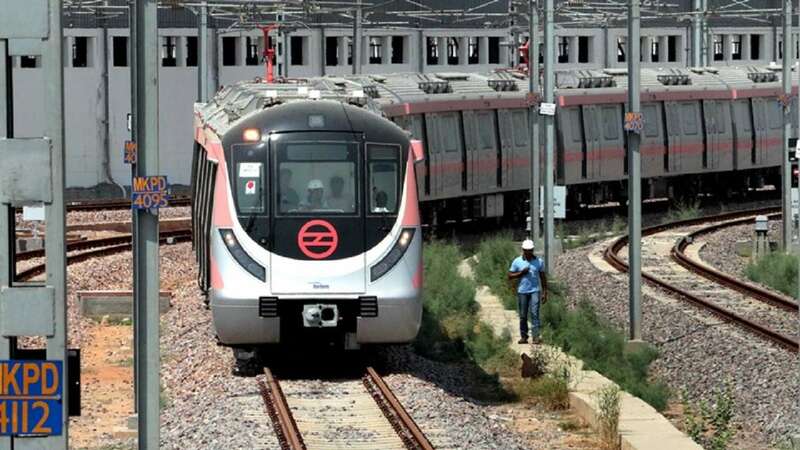 New Delhi: After connecting Delhi’s largest shopping centers, Delhi Metro Rail Corporation (DMRC) on Wednesday started test runs on Pink Line’s 9.7-km stretch between Lajpat Nagar and Mayur Vihar Pocket- 1. This section is part of the 59-km long Pink Line also known as the Majlis Park-Shiv Vihar corridor. Mangu Singh Managing Director of DMRC flagged off the test run in the presence of other senior officials. 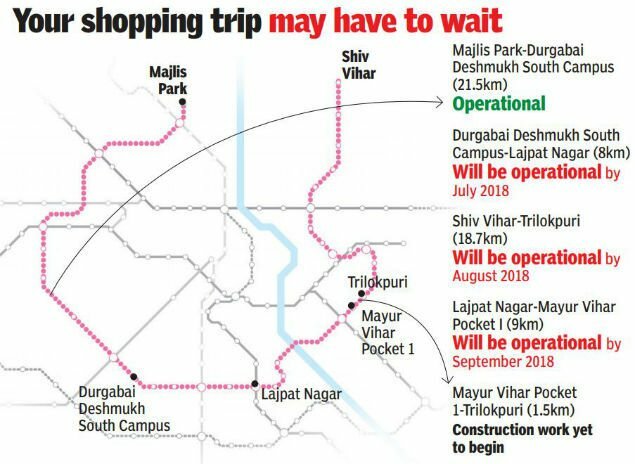 This stretch, which will be a continuation of the presently operational Majlis Park – Lajpat Nagar section, will be a good news for commuters from Ashram, Mayur Vihar etc. The Hazrat Nizamuddin Metro station will be beneficial for the Hazrat Nizamuddin Railway station commuters as well as the Inter-State Bus Terminal commuters at Sarai Kale Khan. 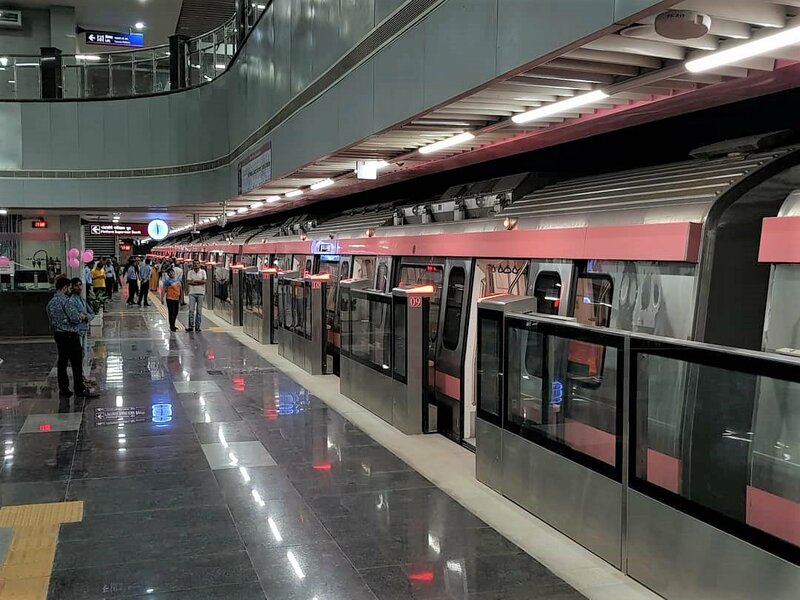 The new signaling technology is known as Communication Based Train Control (CBTC), which is being used in the Pink and Magenta Lines, will also undergo rigorous testing in stages. The official further stated that the response of the train at different speeds, braking of the train and the interconnection with the operations control center will also be monitored during the trials. The behavior of the track system and the overhead electrification will also be checked. This section between Lajpat Nagar and Mayur Vihar Pocket-1 consists of five stations. They are Vinoba Puri, Ashram, Hazrat Nizamuddin, Mayur Vihar-I and Mayur Vihar Pocket-1. Out of these five stations, Mayur Vihar-1 and Mayur Vihar Pocket-1 are elevated stations and the other three stations are underground. This section has one interchange at Mayur Vihar –I of the blue line. The line is expected to be operational by October this year.